I’ve been wanting to get my hands on some liquid palisade by Kiesque but I wanted to find a product with a cheaper price and with the same effect. So I recently ordered some liquid latex from amazon.com that you can get here. It was cheaper than liquid palisade and I get more than they give in the palisade bottle. This was my first time trying it and I loved it. 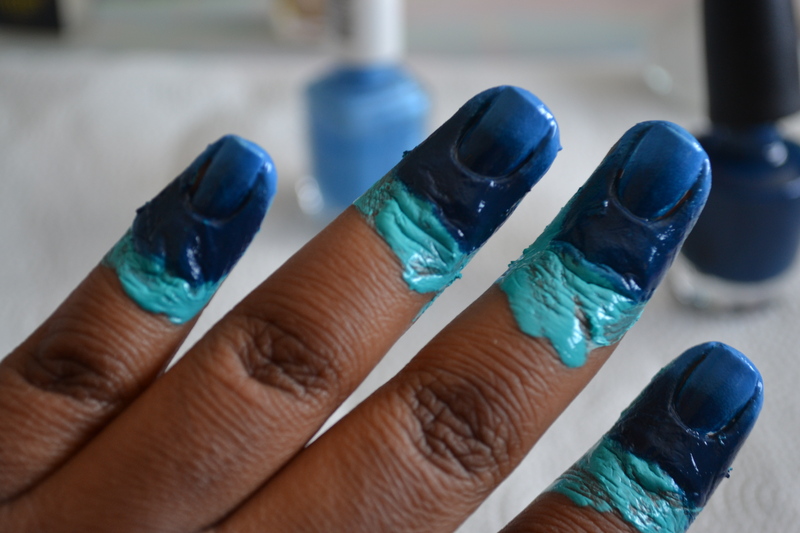 It was so much better than getting nail polish all over my fingers and me having to clean it up, which is such a hassle. 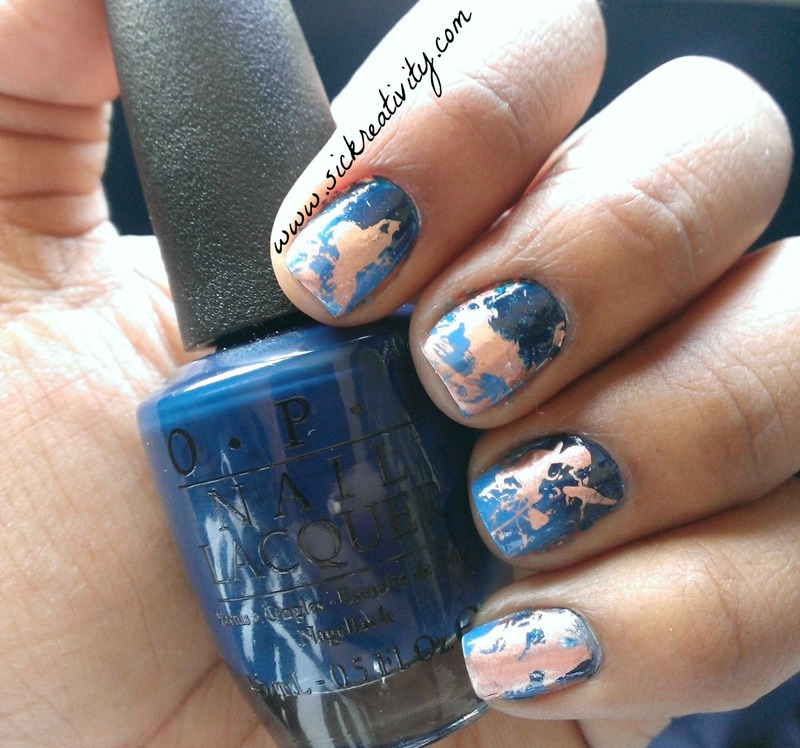 I tested it by doing a really messy mani. 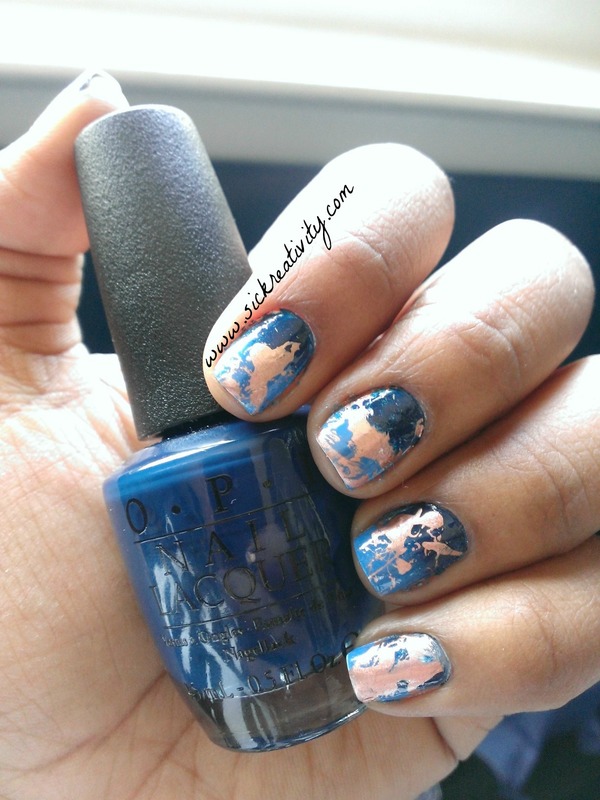 A mani that included ombre and splatter which was a mess, but then, voila it wasn’t. 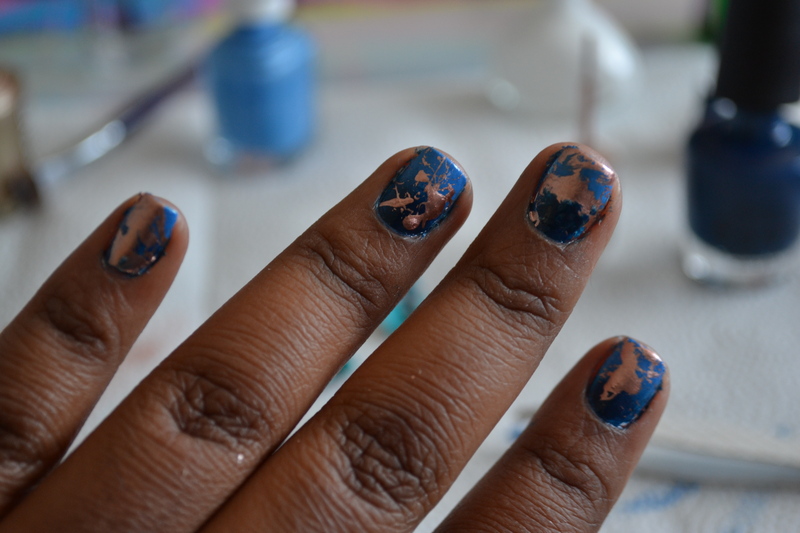 It turned out cute and after I finished I noticed my nails look SORT OF like a globe with metallic land on it. No matter what I saw, either way it turned out really nice. So here’s how to do it. 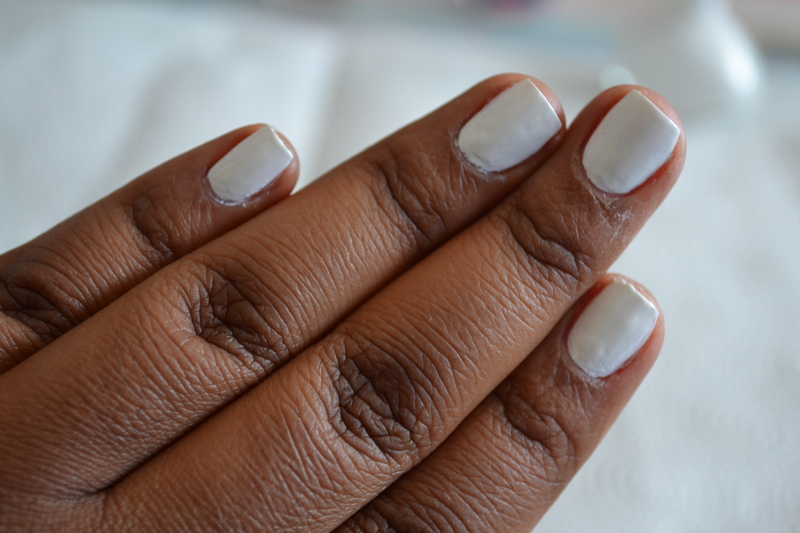 Step 1: After you put on a basecoat, put on a coat of white polish until its opaque (Usually 2 coats). Step 2: With a make-up sponge you want to put the colors your going to ombre with on the sponge next to each other, overlapping a little. Then, take the sponge and sponge or roll (whichever works for you) the polish on to the white base. Continue to do so until the colors blend together the way you like it. Step 3: Keeping latex on, dip a straw into the nail polish and, aiming the straw at your nail, blow into the straw. The polish should splatter onto your nails. Step 4: After you take off the latex you do a little extra clean up and put your topcoat on and your finished.